BAD CREDIT HOLDING YOU BACK? Get off that bad credit journey and get on the road to good credit. Having bad credit shouldn’t stop you from getting the things you need. Valerie Wells has been helping people in the Houston, TX area and across the US for many years. We have the resources to get your credit restored fast. Credit repair can help you in many areas of life not just with purchasing items. If your credit report is a mess and you are wondering where to begin cleaning and fixing your bad credit, then start by clicking the button below to get started with the CreditDiva Credit Repair Services. Bad credit can prevent you from being approved for a new car or home. Some jobs even check credit prior to extending an offer. Credit repair can turn a NO into a YES. People with poor credit pay more. If you get approved for any credit it’s often at much higher interest rates. Over the life of a purchase you can pay 10 times more than you would if you had good credit. Credit repair helps you pay the going rate for goods and services rather than being over charged. START making smart financial choices.  In addition to removing errors and cleaning up your credit report; when you work with the CreditDiva you get a top notch education in money and credit management. You get the skills to maintain and continue to improve your credit for life. During the credit repair process you will learn all that you need to know to keep your credit score in the green. A few factors make up your credit score. Scores of 584 and BELOW are considered Poor or Bad. Scores of 670 and ABOVE are considered Good. The first step in the process is to sign up! Submit your credit reports, personal information, fees and most importantly our Client Agreement. This outlines MY responsibility to YOU and your responsibility the process. We begin to clean up your credit by removing incorrect and inaccurate information from the credit report. We also analyze your reports so that we can help you take steps to increase your credit score. Follow our steps to increase your scores by paying bills on time, decreasing your debt and utilizing secured cards. Send in the responses from the credit bureaus so that we can continue to respond. The CreditDiva will work hard for you. If you follow your part of the process you will see your scores increase. Each month you will see changes and you will also begin to understand how various factors affect your score.